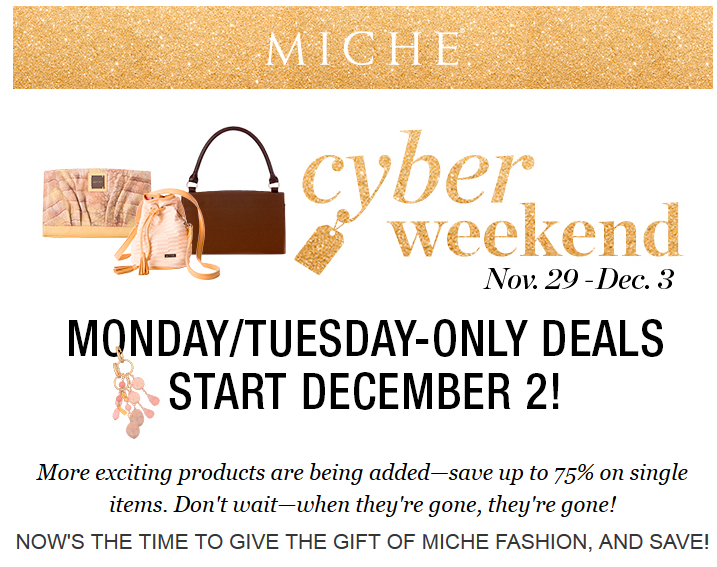 Miche Cyber MONDAY 2013 here!!! Monday and Tuesday ONLY deals, plus black Friday specials are still in effect! | Sophisticated Diva ~ A.K.A. Along came Polly!